You may not have noticed it Saturday night, lost amid college football and everything else that is a late fall Saturday night, but Arizona State’s hoops team put the finishing touches on a very successful week by handing it to Texas A&M (#18 in the latest RTC Top 25) in a 67-54 home win. Coming on the heels of a mid-week win at Creighton, this is just the latest of a series of peaks in Bobby Hurley’s wild first season in the desert. An opening night loss to Sacramento State and a late-game collapse in Brooklyn against Marquette aside, Hurley’s club also has solid wins over Belmont, North Carolina State and UC Santa Barbara on its resume, with road tests at Kentucky and UNLV the next two games on the schedule. So, what exactly is Hurley up to in the desert? And does is this team more like the team that took care of a Top 25 team or the one that lost to a middle-of-the-pack Big Sky team? 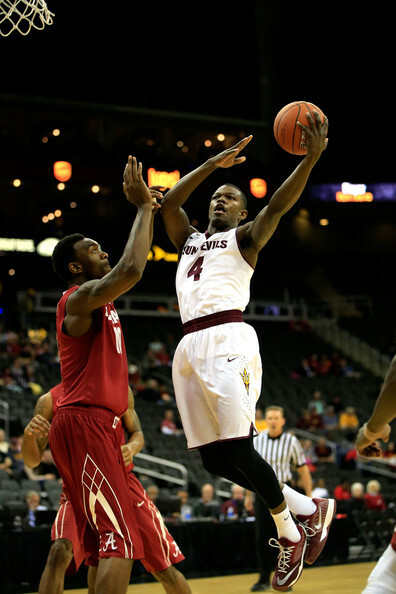 When things are going well on offense for the Sun Devils, it all starts with sophomore point guard Tra Holder, who is, at times, seemingly impossible for opponents to keep out of the lane. Add in the fact that he’s dangerous when he gets there, with an array of floaters, pull-up jumpers and the ability to earn his way to the line, where he shoots 82.5 percent, and goal one for the opposition’s defense is to put a wrap on Holder’s penetration. That sometimes, such as on Wednesday night against Creighton, necessitates pulling secondary defenders away from their assignments to stop penetration, allowing Holder to do one of two things. First, there’s the old drive-and-dish, sucking in a secondary defender, kicking the ball out to an open teammate on a wing, maybe an additional pass and then a three. With guys like Gerry Blakes, Andre Spight, Kodi Justice and Willie Atwood all capable three-point shooters, that alone is the start for some good offense. The other option for Holder is that midrange game of his, unleashing a floater or a pull-up. If it goes, great; if it doesn’t, the Devils have four guys who are grabbing at least 10% of teammates’ missed shots when they’re on the floor – Savon Goodman, Obinna Oleka, Willie Atwood and Eric Jacobsen. Between those four, 29% of their two-point field goals have come off of putbacks on offensive boards. In the next three weeks leading up to season tipoff, the Pac-12 microsite will be evaluating each of the league’s 12 teams. Today, we head to Phoenix. 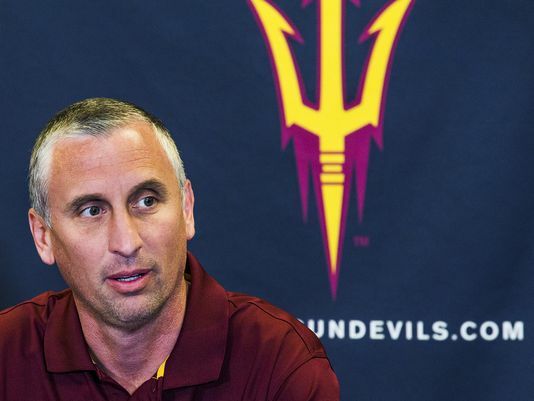 Over the next few weeks, we’ll preview each Pac-12 team in random order, but today we’ll start with the Sun Devils and new head coach Bobby Hurley. 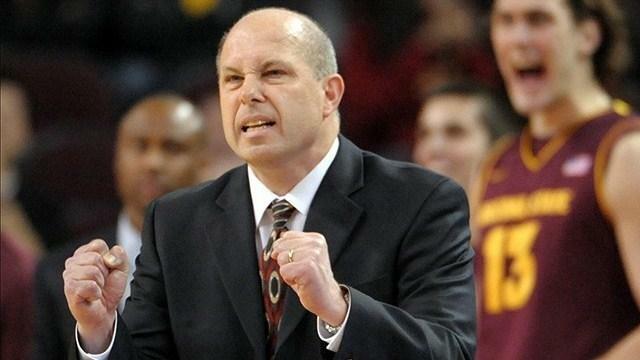 Hurley, formerly of Buffalo and a member of college basketball royalty as a two-time national champion point guard at Duke, takes over as Arizona State’s head coach after Herb Sendek was fired following a fifth-place Pac-12 finish last season. Four of the team’s five leading scorers return, with three junior college transfers and a freshman rounding out the likely rotation. Strengths. Six players return from last year and, as it turns out, they seem to fit perfectly together. Four starters return – sophomore point Tra Holder; senior off-guard Gerry Blakes; junior power forward Savon Goodman; and senior center Eric Jacobsen – leaving the fifth starting spot ready to be grabbed by senior wing Willie Atwood. Guard Kodi Justice – an intriguing prospect with plenty of versatility– figures to be the sixth man. And between those six, there’s a variety of talent here. Goodman and Jacobsen form an imposing frontcourt. There’s athleticism and upside in the backcourt. And for a team that plans to push tempo, there is plenty of high-flying play-making ability as well. Weaknesses. Two things stand out here. First, beyond those top six players, there’s not much proven talent. Obinna Oleka stands out as the newcomer with the best chance of becoming an impact performer, but JuCo guards Andre Spight and Maurice O’Field will likely be called upon to contribute as well. It was hoped frosh forward Andre Adams could chip in right away too, but he tore his ACL (for the second time in his career) in September and will spend this year rehabilitating. Of the guys remaining, Spight in particular may be called upon for his ability to knock in the perimeter jumper because nobody else on this roster has a history of competent three-point shooting. Blakes is the leading returning long-range dialer, having knocked in 39 threes last season, but he did so at just a 30.2 percent clip. Justice shot 45.9 percent from deep, but on just 37 attempts. In an ideal world this season, Justice ups his attempts, Blakes ups his efficiency and Spight lends a hand as well. If the Devils can add some perimeter punch, that will make Goodman and Jacobsen that much more impressive in the paint. Each week the Pac-12 microsite will run down our weekly superlatives, which typically will include a Team, Player and Newcomer of the Week, along with our weekly Power Rankings. With Feast Week behind us and finals on the horizon, things are about to slow down just a little bit in college basketball. Come this weekend, we’ll have all sorts of interesting games on the slate — Arizona State vs. Texas A&M, Gonzaga vs. Arizona, Mississippi vs. Oregon, Colorado vs. Georgia and Washington vs. San Diego State — and not necessarily in that order, that have me intrigued. But between now and then, there are just two match-ups that we can recommend in good conscience, both taking place on Pac-12 home courts tonight. Below, we’ll preview the headliner – Wichita State at Utah – as well as an interesting undercard as UNLV visits Arizona State. 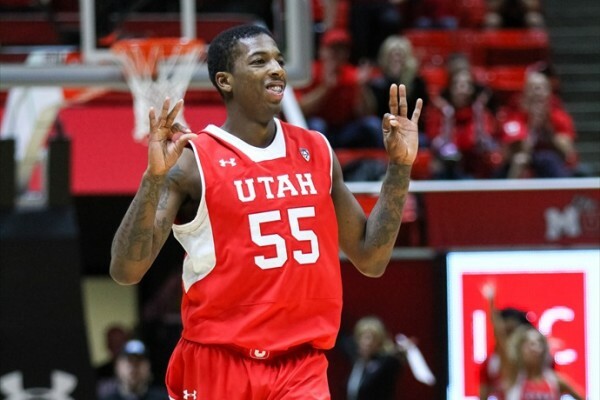 Unless you’re a big-time Utes fan or an inveterate college hoops junkie, the last time you saw Utah play it was falling short in a late mid-afternoon run at a comeback against San Diego State. Since then, the Utes have performed mop-up duty against a quartet of teams all ranked in the bottom 20 percent of Division I, winning those four games by an average of 36.3 points per game. The Shockers, meanwhile, have played three teams ranked between #50 and #75 by KenPom and won those games by an average of 17.3 points per game. While they are known for their perimeter players – guards Fred Van Vleet and Ron Baker earned preseason All-America consideration, and senior Tekele Cotton is one of the nation’s best perimeter defenders — Wichita State is a team that plays inside out, getting dribble penetration into the lane and creating opportunities from there. As such, priority number one is stopping that penetration, something Utah is well-suited for with elite defenders Delon Wright and Brandon Taylor leading the way. Perhaps more significant to the Utes’ chances would be the presence of shot-blocking freshman phenom Jakob Poeltl protecting the rim should Van Vleet get into the paint. Likewise, on the other end, Poeltl’s skills in the post and the Utes’ offensive rebounding strength (they’re 18th in the nation with a 40.8% offensive rebounding rate – but remind yourself of that level of competition) could be a pain in the neck to a team without an established player taller than 6’7”. 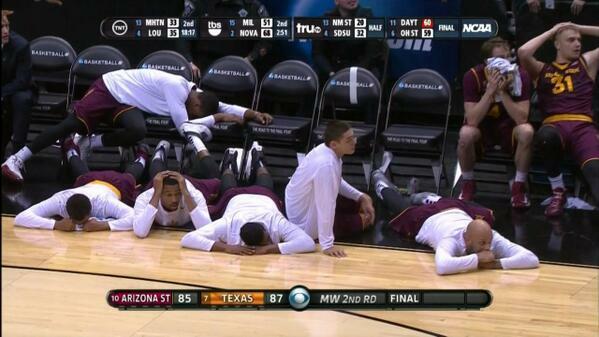 Team of the Week: Arizona. It wasn’t always as easy as you would hope for a team with Final Four aspirations, but winning the Maui Invitational and knocking off emerging West Coast rival San Diego State in the process speaks for itself. In a week where ten losses piled up around the conference, the Wildcats’ show of toughness and obvious upside on a national stage like the Maui Invitational is hard to beat. And if they can knock off fellow top-ten team Gonzaga next Saturday, they may be in for a repeat appearance in this spot next week. 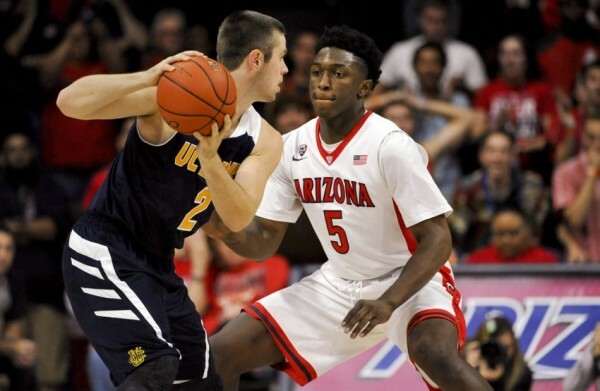 Player of the Week: Stanley Johnson, Arizona. We haven’t seen the best of Johnson yet, but he seemingly gets better by the game. Against San Diego State, he had a career-high 18 points, but it took him 14 field goal attempts to get to that point. Luckily he did a lot of other things, like: get to the line ten times in that game and make nine of those attempts; pull down nine boards; grab three steals and play some terrific all-around defense. And so what if he got a little overexcited and had to have his senior point guard tell him to shut up? You want that kind of intensity, right?